Invigilo™ is a turn-key solution for multi-channel wide-field optical imaging and optogenetic stimulation of the rodent brain. How is Invigilo™ different from the wide-field imaging systems offered by other providers? The name pretty much gives it out. In vigilo is formed on analogy with in vivo (Lat. “in living organism”) and in vitro (Lat. “in the glass”). In vigilo stands for “in awake organism”. Invigilo™ is the only wide-field imaging system designed specifically for experiments in awake head-fixed mice. Not surprisingly, Mobile HomeCage® forms the centerpiece of Invigilo™ system. If you are not yet familiar with the Mobile HomeCage®, let us briefly explain what it is. 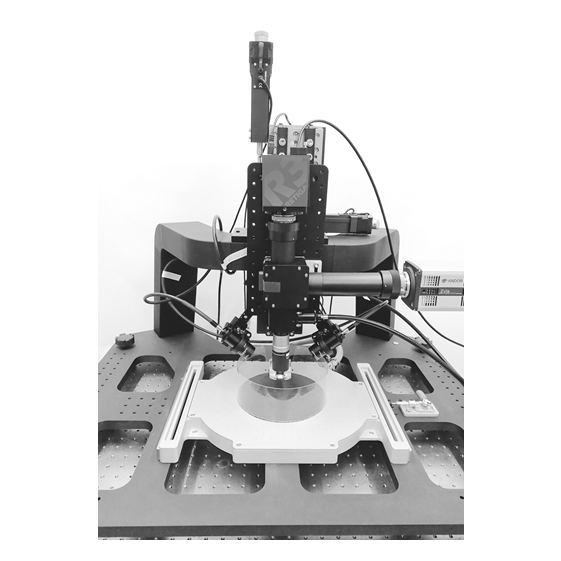 The Mobile HomeCage® is a flat-floored air-lifted platform for high precision tests in head-fixed awake mice. Because the platform is flat, and because there are walls just like in the normal home cage, the Mobile HomeCage® is particularly efficient in reducing the stress that mice experience under standard head-fixation conditions. It also provides very stable head immobilization. Now we have built a wide-field imaging system around the Mobile HomeCage®. But this is not all. 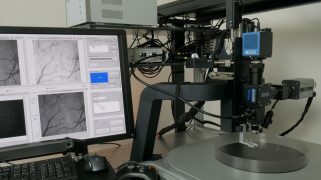 We have also made it possible to acquire blood oxygenation level dependent (BOLD) signal simultaneously with fluorescence imaging in multiple cortical areas. Why is this important? Because fluorescence signal (e.g., GCaMP6-based Ca2+ signal) is heavily distorted by activity-dependent light adsorption by blood-born hemoglobin. Fortunately, you can easily correct for this distortion as long as you have the BOLD signal recorded simultaneously with fluorescence. To learn more read this excellent review by Elizabeth Hillman’s group: Ma et al./Hillmann, 2016. Besides that: Invigilo™ makes it possible to image neuronal Ca2+ dynamics simultaneously with optogenetic or sensory stimulation. Importantly, imaging and stimulation can be combined with behavioral readouts. To enhance the behavioral research in the Mobile HomeCage®, we have recently added motion tracking capabilities. If you opt for motion tracking, you are sure to appreciate the speed (80 fps), the high resolution (1mm) and the ability to record in the dark or light conditions. Click on the link to learn more about the motion tracking capabilities. Another great advantage of Invigilo™ system is its master software. 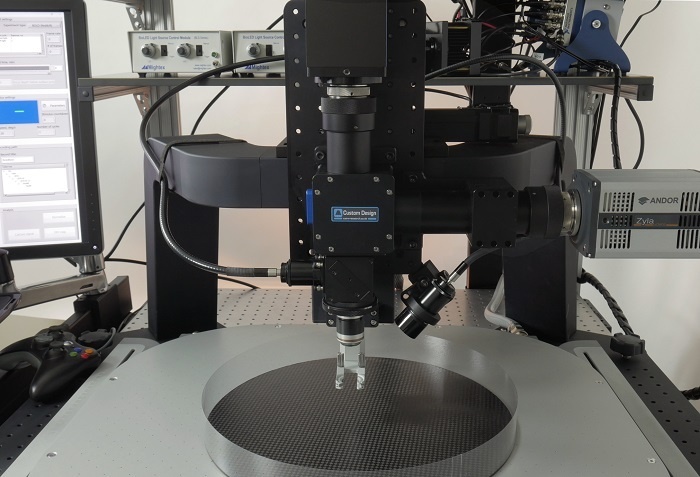 The software controls all hardware settings and synchronizes all opto-electronic components of Invigilo™ including multiple CCD cameras, several LED light sources, xyz-positioning motors and (optionally) the tracking system. 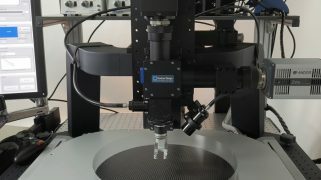 It presents the data and controls the workflow through a single graphic user interface. At half the price of a standard confocal microscope, Invigilo™ is a great way to start imaging in awake mice. 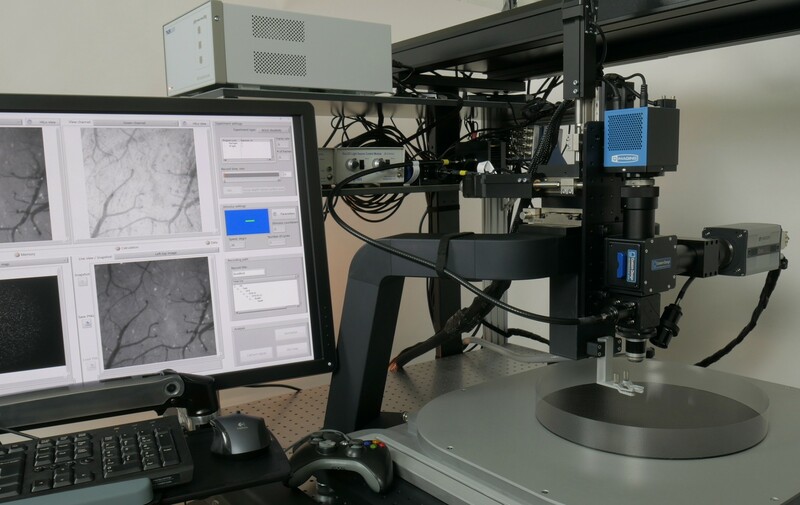 For the labs that have a two-photon microscope, the Invigilo™ system is complementary because it offers a broader (cortex-wide) field of view. It can be used for obtaining functional maps in each mouse to guide two-photon imaging. Wide angle of vision: near-panoramic (270o) unobstructed view that enables, e.g. virtual reality (VR), visual stimulation of the mouse or video-recording of mouse’s behavior. Although beauty is undoubtedly in the eye of the beholder, we are proud of Invigilo’s design. More importantly, we believe in the high relevance of research in awake animals. We also believe in making this research reproducible and affordable. Contact us to learn more or to get a quote.